Need a little outfit inspiration? 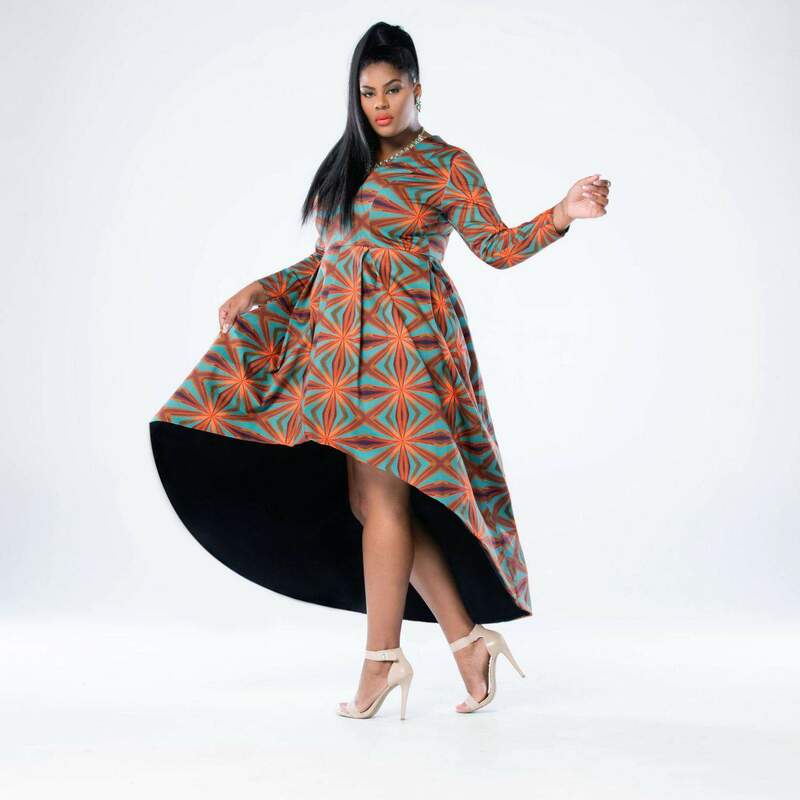 Do you know these plus size indie designers? We have rounded up more than a few fly designers who serve up plus size style! Just like we turn to our friends, family and otherwise immediate people in our lives for style inspiration, you can do the same with up-and-coming designers. 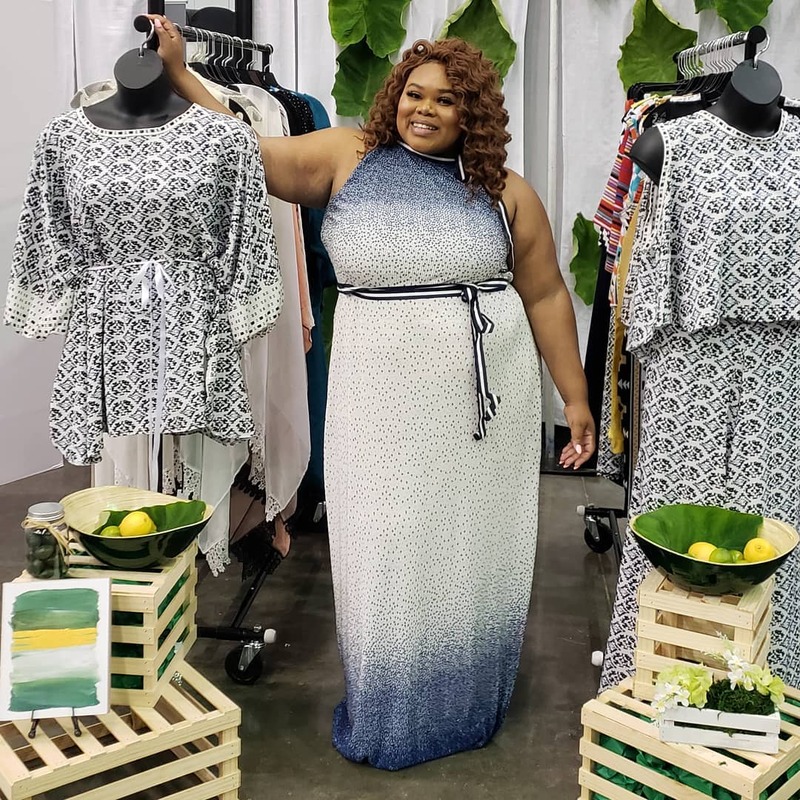 Plus size indie designers have been the lifeblood, in our opinion, of the plus size fashion industry, and they always will have a soft spot here at TCF. While bigger brands definitely have done better at including and expanding their plus size choices, the plus size independent designers need the same amount of love, right? 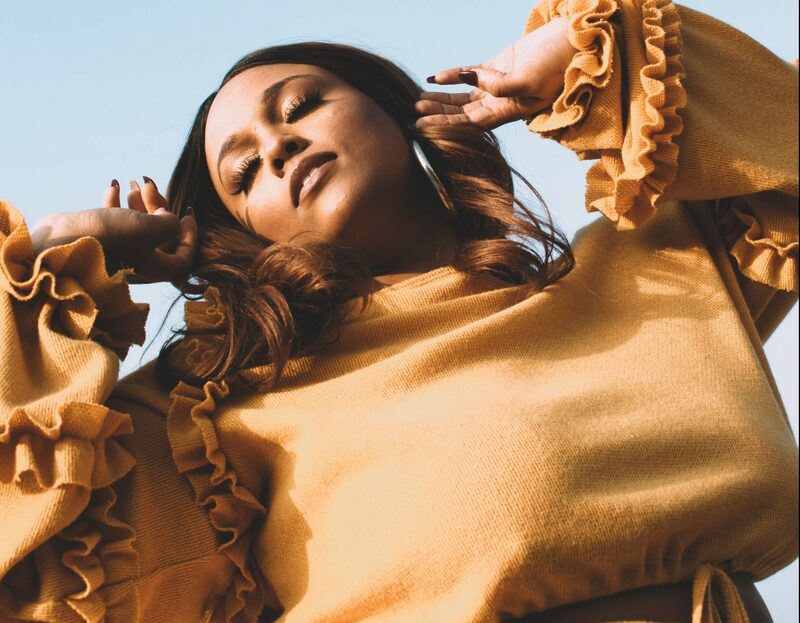 So, we thought to show some love to a few plus size indie designers whose collections have been featured on TCF, whose looks we are always inspired by, and who stay pushing the fashion envelope! There are so many gems out there, so we narrowed it down to 15, as there are soooo many to know! Not only that, many indie designers have started expanding into plus sizes– which is an article for another day! Here are a few plus size indie designers on our radar that we think should be on yours, too! 14 Indie Plus Size Designers to Know! 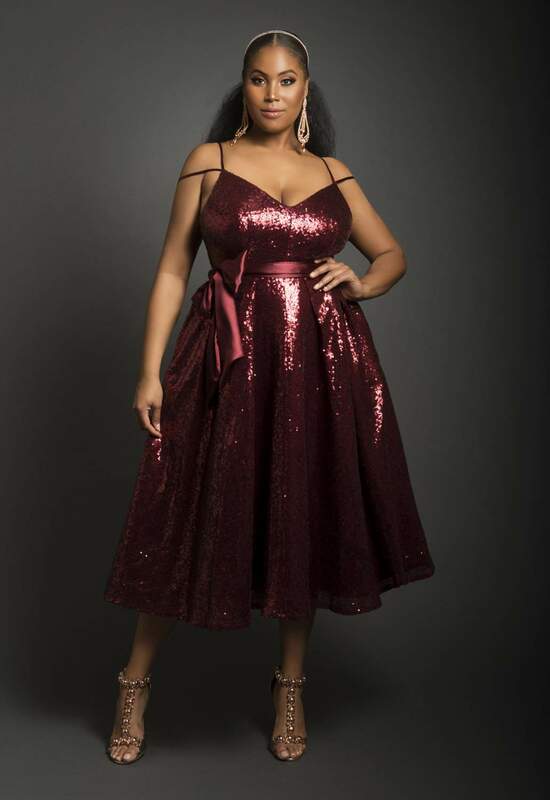 Kenyatta C. Jones, the CEO and Head Designer of Bella René, started her company in September 2006 after seeing a lack of viable plus size options. Yes, ladies, she didn’t ask for a seat at the table, she brought the table! 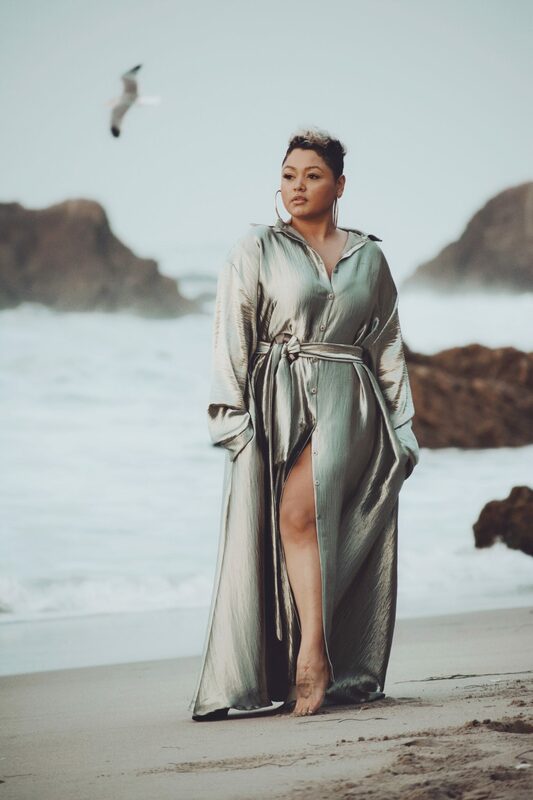 Remember when we wrote about our excitement when WeTV picked up her show “House of Curves?” Kenyatta has been making moves and took it a step further with her NYFW show this past September! Founded by A’Shontay Hubbard in Atlanta, Christian Omeshun is made for the ambitious and charismatic curvy girl with style. 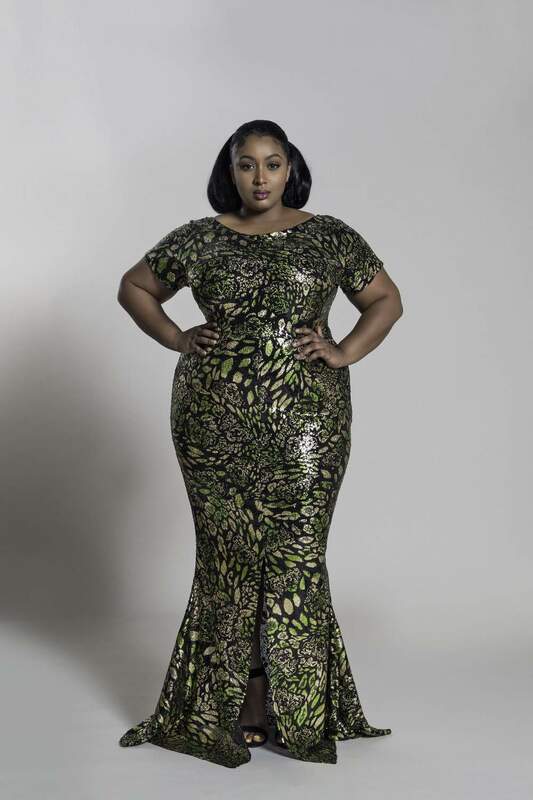 A TCFStyle Expo vet, Christian Omeshun has been delivering sleek and chic plus size fashion. Like any good plus sign designs have, Christian Omsehun styles are customizable with great fit. We’ve been down with Christian Omeshun for a while and we featured our first look from Christian Omeshun, last year! Courtney Smith founded Courtney Noelle at the top of 2014 with the personal motto, “You, woman, are enough.” Featuring everyday wear, cocktail wear and evening wear, there’s a good variety to choose from. No stranger to our TCFStyle Expo, we’ve also done a first look for Courtney Noelle, too. We been on it! LaShawn DeAngelo Millner is a designer out of Greensboro, NC. Designs By DeAngelo provides ready to wear and custom women and mens apparel and shook up the scene at this year’s FFFWeek! A newbie to TCFStyle Expo, this designer is one to watch, especially if you are looking for a dress for the holidays or special event! An indie designer in its truest sense! Each design is hand made with love so you can feel extra special the moment you put it on. Debuting at the TCFStyle Expo this year, Elle Dove’s strategy is to make something cute and fabulous with comfort in mind, up through a 26+! Oh, and they do customized pieces, too! Created by Atlanta-born Jasmine Elder, JIBRI is for the fashion-conscious woman. 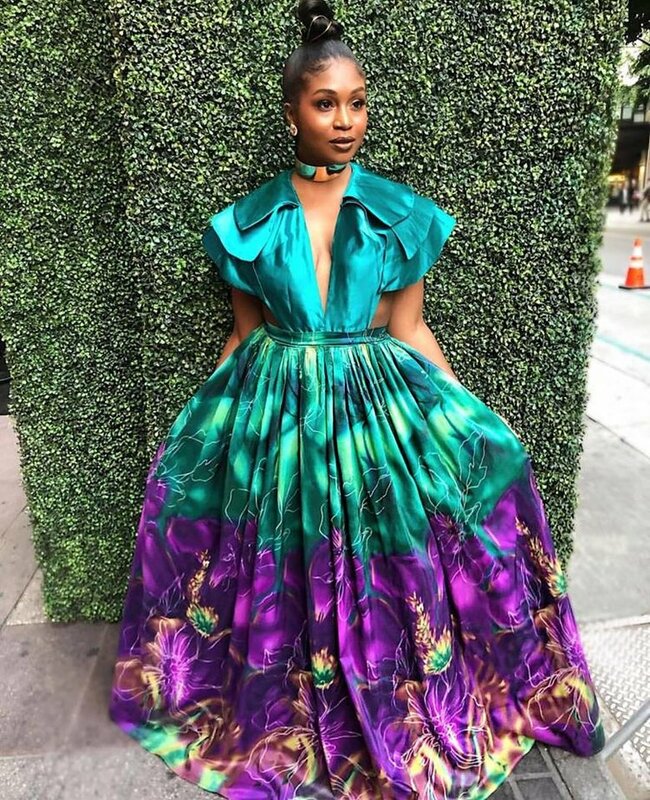 Her designs have been seen on celebrities such as Jill Scott, Toccara, Amber Riley, Tess Holliday, Gabourey Sidibe and more! By the way, their Fall collection recently dropped. Another past TCFStyle Expo vendor, In the mood for beautiful African prints? Named after Ana’s grandmothers, Maria and Paulina, these designs shine in their vibrancy. Maria Paulina is your must shop stop. We featured the designer in our You Oughta Know series last year! Nakimuli was established by Tennille McMillan in 2009 when she took her identity as “the weird one” and decided to make something dope. Naturally, folks like Erykah Badu dig her looks. We featured the Nakimuli fall collection last year and have been eyeing some of their newest arrivals! Founded by our faves Gabi Gregg and Nicolette Mason, Premme is about that bold and fashion-forward life. Curvies don’t sit in the corner, we stand out… and should have the wardrobe to match! 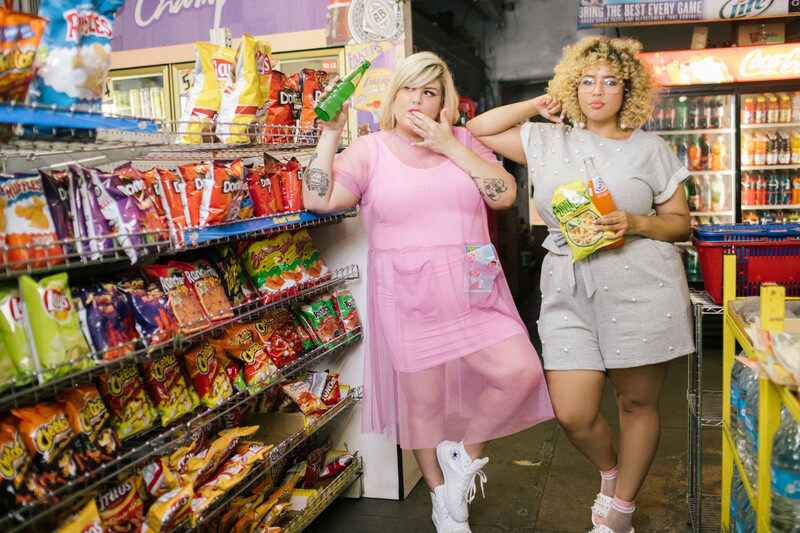 Premme just dropped some new looks this past April and we’re so excited to see what they come up with next. Shantress Sadá, founded by designer Shantress Fleming is inspired by everyday beauty and is channeled into fashion-forward pieces. Shantress goal is to create pieces that each person can adapt to their own personal style! Named after designer Wendy S. herself, The Wendy S Collection is for the lady who loves to strut on the beach with big hats, bold maxi dresses and fierce shades. Basically, its collection is similar to the easy and breezy vibe of the beach. Uncomplicated, but with style! 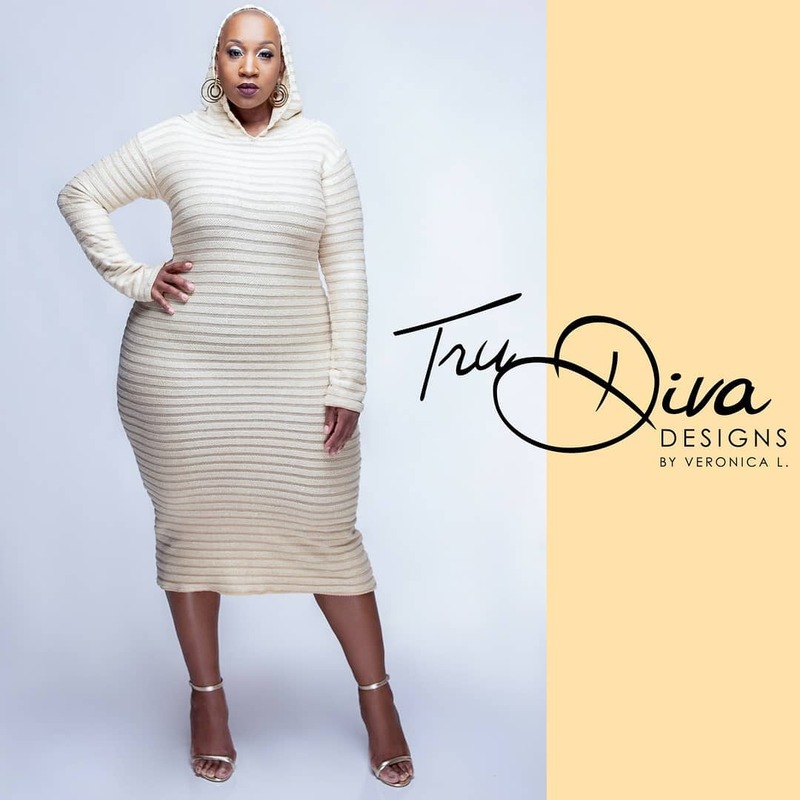 Founded by Veronica Lipscomb due to her love of fashion design, TruDiva was born out of many department and boutique visits and finding ill-fitting clothes for her body. As such TruDiva truly contours to the shapeliness of a curvy girl. We featured their Mocha Collection as a first look back in 2013! Z by Zevarra was founded by LaKisha Livingston-Brown with the mission to provide women with luxury styles at affordable prices. Its first Fall collection debuted at Haute Curves LA Fashion Week in October 2013. Get into its Winter 2018 collection, by the way! Zelie grew up draping fabric on her cousin because she went that night, just like a designer getting their model ready for the runway. Thus, Zelie for She was born, with its bohemian fabulous flair. Its Spring 2018 is all about that California Dreaming — check it out! Now, these are only 14 plus size indie designers to know, but there are far more out there! Make sure you check out our Curvy & Plus Size Designers page, as it is always growing! 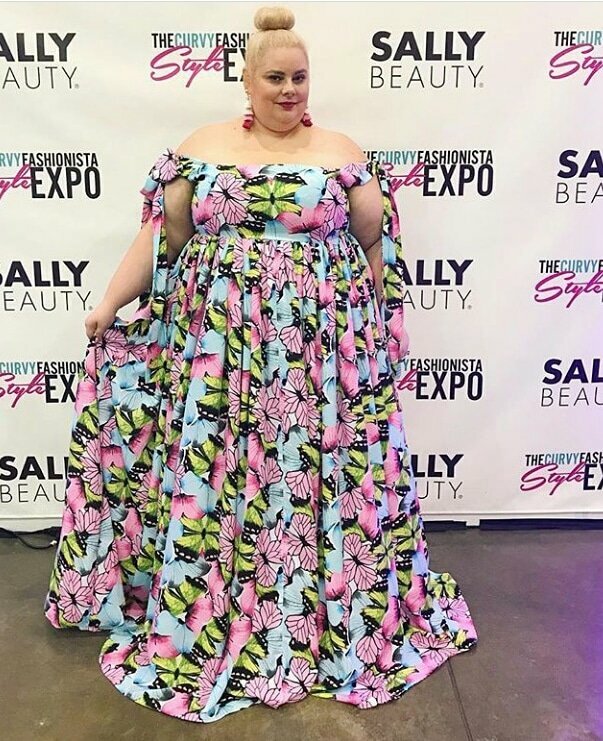 Who are some of your fave plus size indie designers? Any not included in this list? Let’s give the next big thing some love!